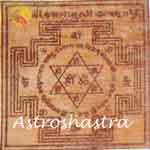 Pitra Dosh Nivaran Yantra is one of the most efficient remedy for negating the Pitra Dosha. It can be placed in Pitrapaksha or any Amavasya. 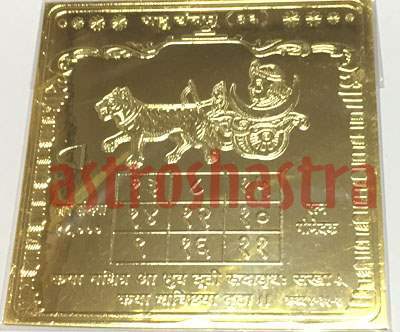 This Yantra would be sent after enerzising in your name to give you the best results in negating the Pitra Dosha. It breaks the cycle of bad happenings and begins the cycle of happiness and prosperity. This yantra also provides the person some peace of mind. 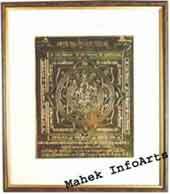 It is embossed on Copper plate and is Gold plated to last long with all the Navgrah and their Mantras. Daily seeing to the yantra removes the negative effect of Pitra Dosha. 1. It remove the negative effects of this malefic yoga in Horoscope. 3. It brings peace of Mind. 4. It removes Bad Luck.